Junella J. Lange, 44, of Andrew, Iowa, died on Friday morning, November 2, 2012, at her home in Andrew, Iowa. A celebration of Junella's life was held at 1:30 p.m., Tuesday, November 6, 2012, from the Carson Celebration of Life Center in Maquoketa, Iowa. Visitation was held prior to the service from 12:30 p.m. to 1:30 p.m. on Tuesday, November 6, 2012 from the Carson Celebration of Life Center. Burial was in the Hickory Grove Cemetery, rural Monmouth, Iowa. 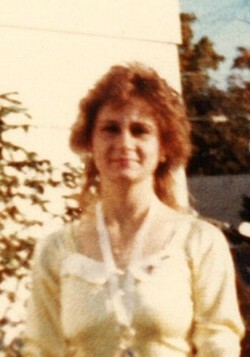 Junella J. Alden was born on February 15, 1968 in Monticello, Iowa, to Jerald and Helen (Potter) Alden. She married Scott Lange. They later divorced. Junella was a homemaker. She enjoyed reading and going to garage sales. Her favorite color was purple. Those left to honor her memory include her daughters, Brittany Lange of Marion and Chloe Alden of Andrew; her mother, Helen Alden of Monticello; sisters, Jamie (David) Soper of Center Junction, Julie Meneike of Anamosa, and Cheryl (Russ) Recker of Alburnett; brothers, John Alden of Lost Nation, and Joe Alden of Monticello. She was preceded in death by her father, Jerald and a brother, Charles.